While millions of us may dream of a few days in the Mediterranean heat, the reality is that we like our weather a little more on the mild side. 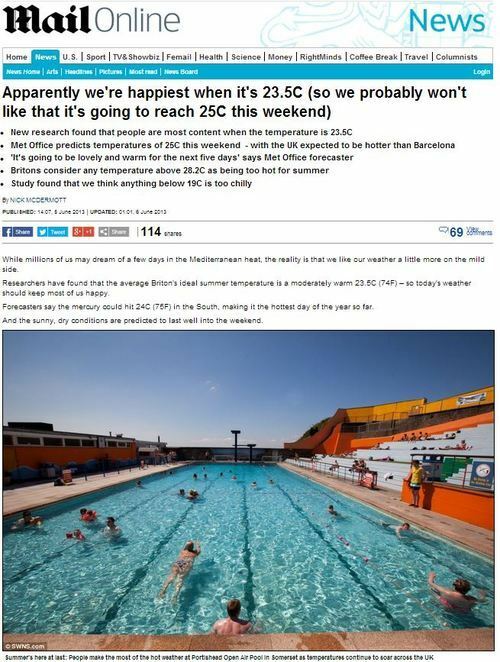 Researchers have found that the average Briton’s ideal summer temperature is a moderately warm 23.5C (74F) – so today’s weather should keep most of us happy. Forecasters say the mercury could hit 24C (75F) in the South, making it the hottest day of the year so far. And the sunny, dry conditions are predicted to last well into the weekend. Who commissioned the research, and gave the picture desks at the Daily Mail and Daily Star a bikini-field-day? According to the poll of 340 adults, Londoners had the highest heat threshold with the average Londoner being content with a temperature of 24.7C. A spokesman for online discount shopping site PromotionalCodes.org.uk, which commissioned the poll, said: ‘One of our favourite pastimes as a nation is to moan about the weather no matter how hot or cold it is. ‘For many, it is either too wet or too dry so it was interesting to find a temperature which everyone would be happy with. Not only was this a PR poll for an online voucher company, it featured just 340 participants – which even by Bad PR standards is dismal – yet not so dismal that the Daily Mail and Daily Star turned it down. It’s enough to leave one cold. This entry was posted in Uncategorized and tagged daily mail, daily star, nick mcdermott, promotionalcodes, steve hughes on June 12, 2013 by Michael Marshall. Perhaps it’s only fair, given all the things our mums do for us, but it turns out that we spend twice as much on Mother’s Day as on Father’s Day. Children pay an average of £27.37 on cards and gifts for their mums, according to research. 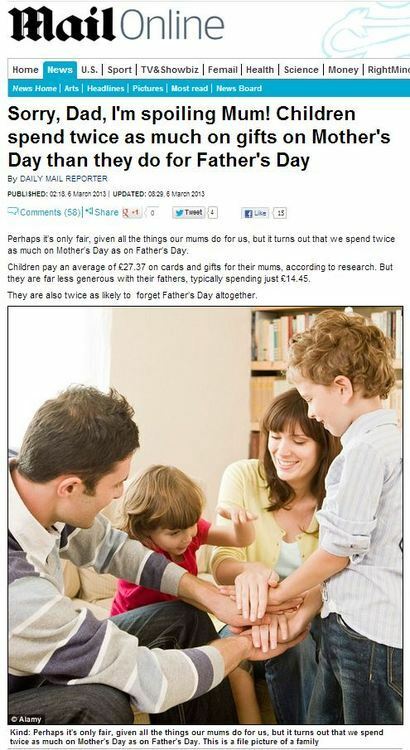 But they are far less generous with their fathers, typically spending just £14.45. They are also twice as likely to forget Father’s Day altogether. Mum’s, then, are costly creatures to keep – and not only are you likely to spend more on a mum than on a dad, you’ll be out of the cool-kids-club if you attempt to short-change the occasion. ‘Despite the recession it seems people still want to make a gesture to their mum and dad whenever Mother’s Day and Father’s Day come round. ‘But when it comes to stumping up the cash it seems we are prepared to pay a little bit extra for our mum,’ said a spokesman for www.Promotionalcodes.org.uk. For the uninitiated, Promotionalcodes.org.uk is a discount voucher website where expensive gifts for mothers for occasions like, for example, Mother’s Day (tomorrow) can be bought. Because we’re all prepared to pay a little bit extra for our mum, especially if we’re able to do so while also getting a bargain. 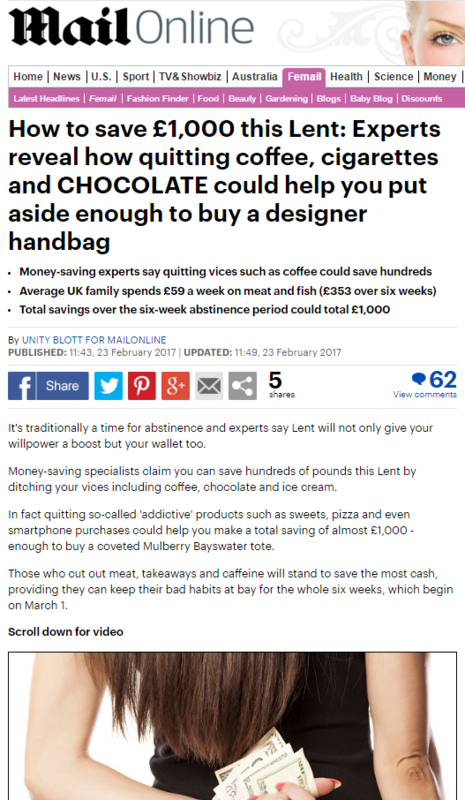 This entry was posted in Uncategorized and tagged daily mail, daily mail reporter, promotionalcodes on March 9, 2013 by Michael Marshall.